Adcetris has been linked to Brain Infection and Progressive Multifocal Leukoencephalopathy (PML), which are rare but serious infections that can lead to death. The FDA has received several reports of these severe, life-threatening infections linked to Adcetris, and has recently issued a safety communication to warn patients to watch for symptoms and notify their physician immediately if they develop signs of an infection. 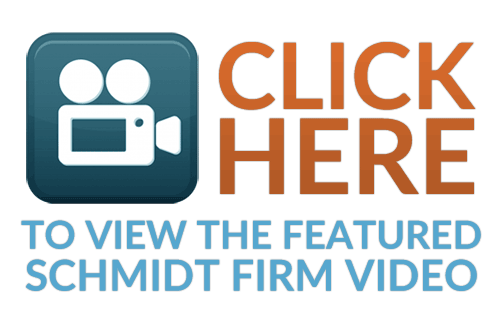 The Schmidt Firm, PLLC is currently accepting Adcetris induced injury cases in all 50 states. If you or somebody you know has been injured by this medication, you should contact our lawyers immediately for a free Adcetris lawsuit consultation. Please use the form below to contact our Adcetris Litigation Group or call us toll-free 24 hours a day at (866) 920-0753. Adcetris (brentuximab vedotin) is a cancer medication made by Seattle Genetics, Inc.was approved by the U.S. Food and Drug Administration (FDA) on August 19, 2011 to treat Hodgkin lymphoma and systemic anaplastic large cell lymphoma (ALCL). Adcetris is an antibody-drug combination that specifically targets lymphoma cells, and was fast-tracked through the FDA approval process when it showed great promise in fighting cancer. 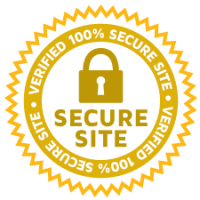 As a requirement of the fast-track process, the company that creates Adcetris is required to complete follow-up safety information to confirm that the drug is safe for human use. When the drug was approved, the FDA was aware of one case of Progressive Multifocal Leukoencephalopathy (PML). Since then, two additional cases have been confirmed. With an increasing number of reports that Adcetris may cause serious infections of the brain, the FDA has placed a new Boxed Warning on the medication’s label, and is warning patients and physicians to be on the watch for infections. These infections are caused by a virus in the brain and can be permanently disabling, or lead to death. What are the signs of Adcetris Brain Infection? What is Progressive Multifocal Leukoencephalopathy (PML) / Brain Infections? Progressive Multifocal Leukoencephalopathy (PML) is a type of brain infection that involves the part of the brain that covers and protects nerves in the white matter of the brain. The covering is called the “myelin,” and it is an insulating layer made of protein and fatty matter, designed to make the electrical impulses travel through nerves quickly and efficiently. PML is a life-threatening condition. The only treatment involves strengthening the immune system to fight off the infection. No other treatments exist. PML is a particularly devastating disease, because people who have lymphatic cancer already have a weakened immune system from cancer treatment. The rate of PML in people with hematologic malignancies is estimated to be one in 1,400 patients. More than 2,000 patients have been treated with Acedtris. PML almost always results in severe damage to the central nervous system, leading to severe disability or death. It is caused by a reactivation of a virus, known as the John Cunningham (JC) virus, which is latent in 40-80% of the adult population in the U.S. When this virus is reactivated in patients who are already suffering from a condition that suppresses their immune system, such as cancer, it can quickly cause severe problems and death. There is no known way to prevent brain infections caused by this virus. After a person is infected, there is no cure. Do I have an Adcetris Lawsuit? The Schmidt Firm, PLLC is currently accepting Adcetris induced injury cases in all 50 states. If you or somebody you know has experienced a side effect after taking Adcetris, you should contact our lawyers immediately for a free case consultation. Please use the form below to contact our Adcetris Lawsuit Group or call toll free 24 hours a day at (866) 920-0753.